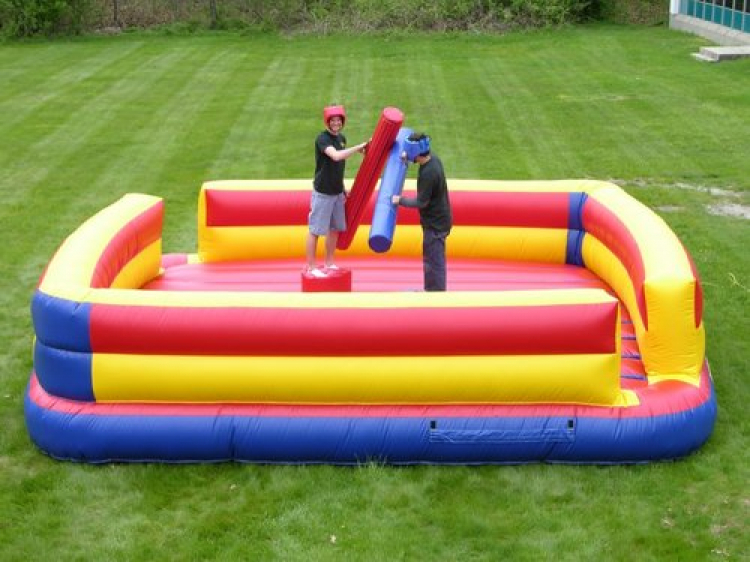 This 2 person inflatable joust arena comes with everything for a wild time including, inflatable cushion for a safe landing, professional headgear, all-foam joust pedestals, and all-foam joust beaters! This unit is perfect for Company picnics, grad parties, team building. All you have to add are the people!